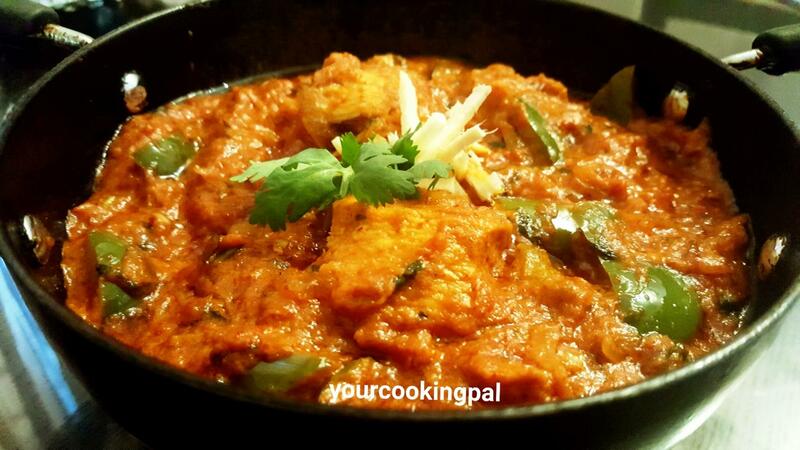 Kadhai Chicken is moderately spiced and comparatively drier Chicken gravy dish that has an unique Capsicum flavour. 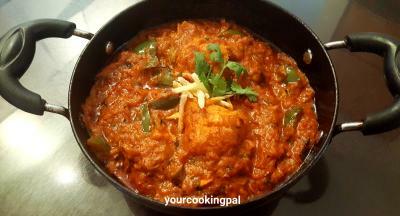 'Kadhai' simply means an Indian style wok. 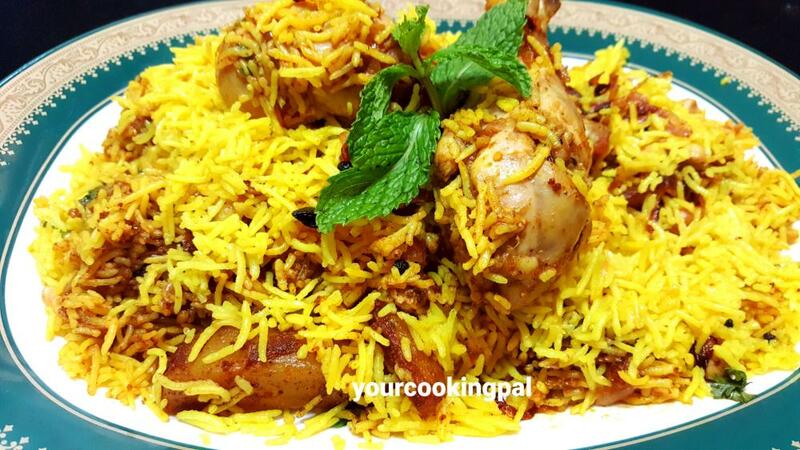 An extremely popular dish that is always ordered in Indian restaurants. 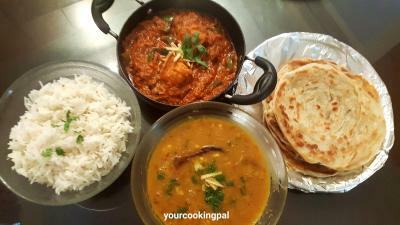 Try this wonderful restaurant style Chicken gravy at home along with some Nan/ Roti/Rice. 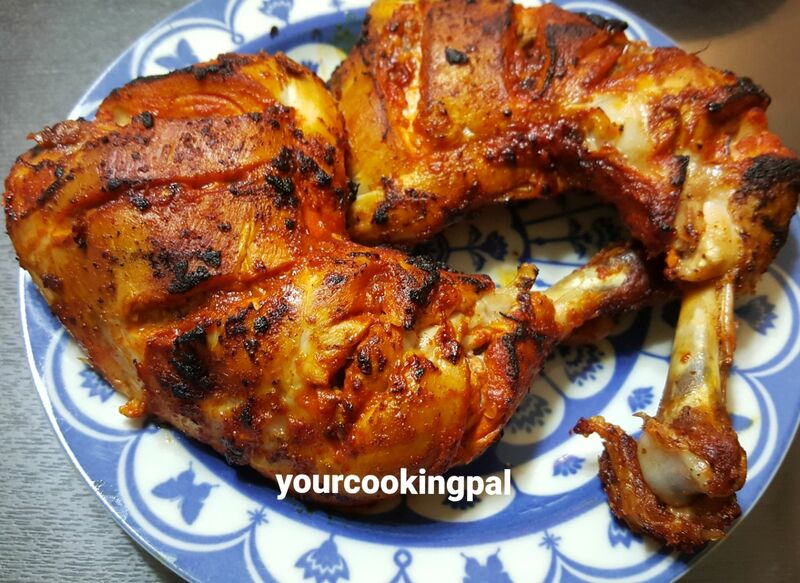 Marinate the chicken with all the ingredients mentioned and keep aside for 15- 20 mins. Heat butter in a pan and cook chicken for 5-6 mins covering the pan. Cook the chicken well until it looks done. Add the cubed veggies capsicum and onion and saute them as well in the same pan. 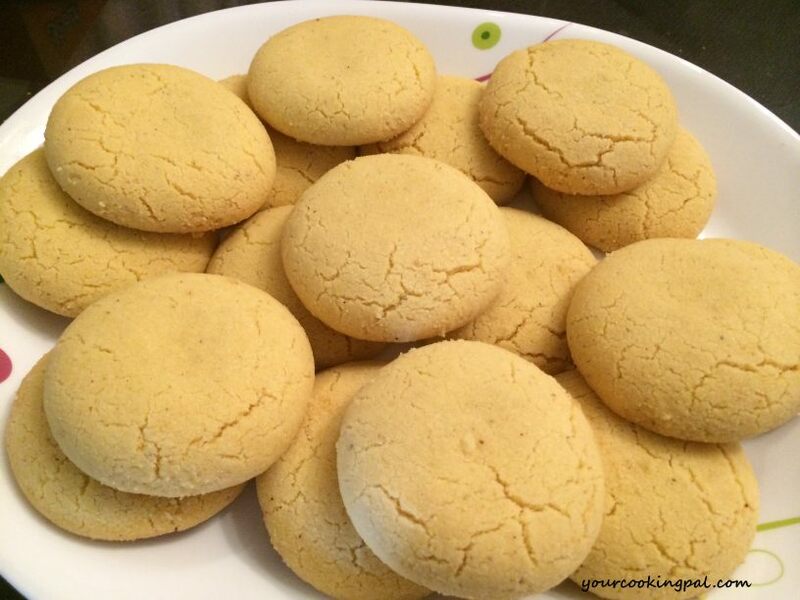 Heat butter and oil in a pan. Add cumin seeds and Fennel seeds (sauf) and sauté. Add onion and sauté until they are translucent. Add the ginger and garlic and sauté. Add the chopped green chillies and mix. Add the Tomato Puree and mix. Add all the powdered spices like the chilli powders, coriander Powder,turmeric, cumin powder and salt. 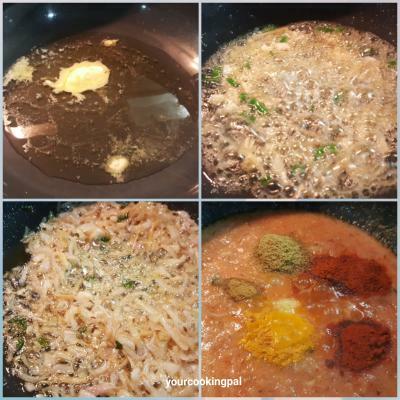 Add 4 tsp water and cover and cook for 15-20 mins. 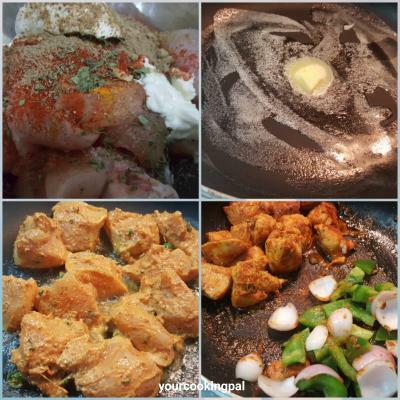 Add the sautéed chicken pieces and cubed capsicum and onions and mix well. 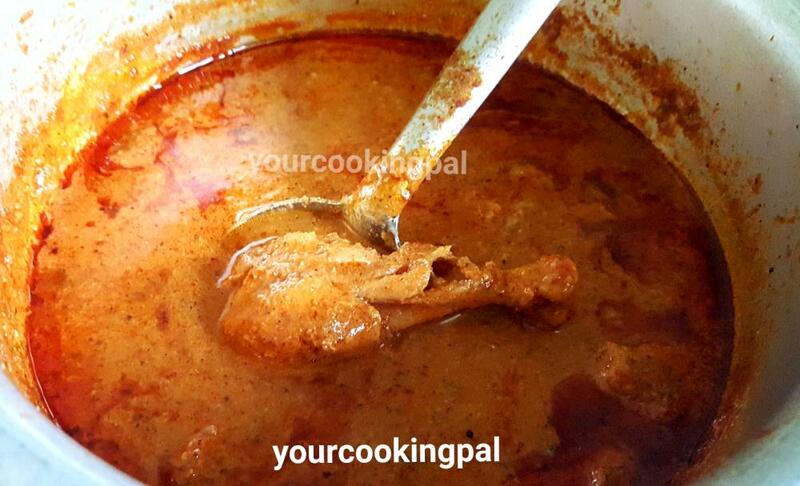 Add 2 tsp of water if you find the gravy too thick and cover and cook for 5-6 mins. Cover and cook for 2 mins. 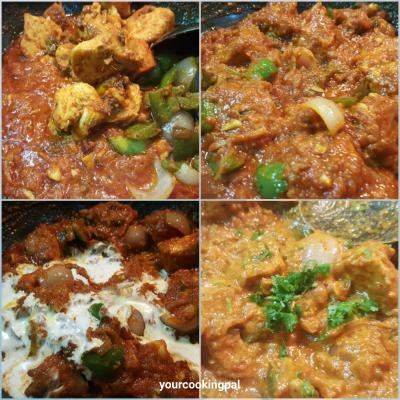 Serve hot with Nan/ Roti/Rice .